Sadhguru discusses the five manifestations of prana in the body, the pancha vayus, and their role in the kriya practices. Prana, one’s vital energy, determines the function of one’s entire system. Sadhguru discusses the five manifestations of prana in the body, the pancha vayus, and their role in the kriya practices. 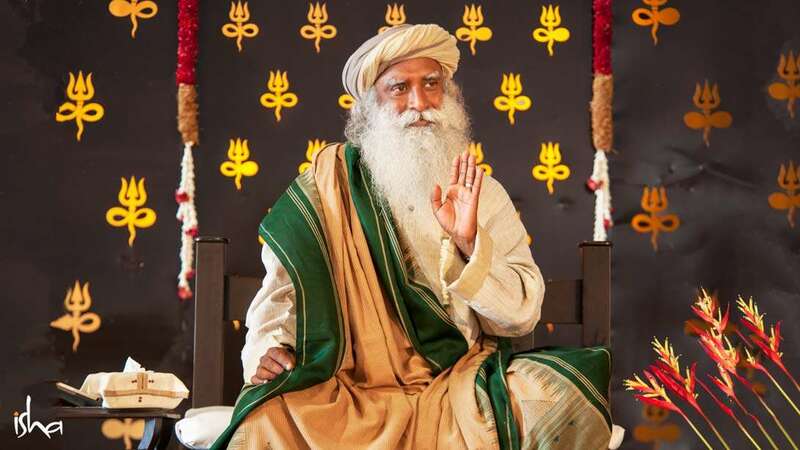 Sadhguru: Whatever you do in life, how your body, your mind, and your whole system function is ultimately determined by your vital energy or prana. Prana is an intelligent energy. Since prana has the karmic memory of the individual imprinted on it, it functions in each person in a unique manner. By contrast, electricity does not have memory or intelligence. It can light up a light bulb, run a camera, and do a million other things, not because of its intelligence but because of the particular device that it powers. In the future, there may be smart electricity too. If you manage to imprint energy with a certain memory, you can make it behave in a certain way. Since prana has the karmic memory of the individual imprinted on it, it functions in each person in a unique manner. There are five basic manifestations of prana in the body. These pancha vayus – prana vayu, samana vayu, udana vayu, apana vayu, and vyana vayu – direct different aspects of the human mechanism. Through yogic practices like the Shakti Chalana Kriya, you can take charge of the pancha vayus. If you gain mastery over these five vayus, you will be free from most ailments, particularly psychological ones. This is something that the world needs today. Unless we act now, in the next fifty years, the number of people who are psychologically imbalanced, disturbed, or deranged will increase many times over due to various factors in our lifestyles. We are handling many aspects of our lives in a grossly negligent way, for which we are going to pay the price. If you take charge of your prana, whatever the external situation may be, you will remain psychologically balanced. Right now, a whole lot of people are psychologically imbalanced, though not everyone may have a medical diagnosis. Suppose your hand does its own thing and pokes you in the eye, scratches you and beats you – that is a sickness. This is what most people’s minds are doing. Every day, the mind pokes them from inside, makes them cry, bawl, or worry – in so many ways, it creates suffering for them. That means it is sick, even if in a socially accepted manner. Every kind of suffering that human beings are going through day in and day out is created in the mind. This sickness has set in, and it will multiply because of the social structures, the technology around us, and various other influences. Through yogic practices like the Shakti Chalana Kriya, you can to take charge of the pancha vayus. One who takes charge of one’s prana can be one hundred percent assured to have unshakable psychological balance. This should also prevent physiological ailments to a large extent, though an element of risk remains due to various reasons, including infections and all kinds of chemicals and poisons that we are exposed to on a daily basis. There is no absolute control over what we take in through the air, water, and food, no matter how careful we are about what we consume. How much impact it has on us depends upon each individual. Physiological health cannot be guaranteed one hundred percent for external reasons. But psychological wellbeing can be one hundred percent guaranteed if you take charge of your prana. If you are psychologically in an extremely good place, a few physiological issues will not be a problem. Most of the time, minor bodily conditions are less of an issue than the reactions to them that happen in your mind. How the pranas function within you, how they transact with the rest of the universe, how they enter a newborn, and how they leave the dead, all clearly show they have an intelligence of their own. It takes a certain level of attention and awareness to know how the five pranas are functioning. The Shakti Chalana Kriya is a fabulous process, but you need to be attentive. It requires you to keep yourself focused for forty to sixty minutes. Most people cannot keep their mind on a full inhalation. Midway, their thoughts wander off, or they lose count or track. It takes months and years of practice to come to a point where you can keep your focus on the breath for the full set of cycles. That is why Shakti Chalana is always taught in tandem with Shoonya. The Shoonya meditation is to bring yourself to a place where, if you close your eyes, the world is gone in your experience. This is a blessing all of you should earn at some point. Only if you make yourself like this, are you capable of staying focused on something. Forceful concentration is not going to achieve anything. If you close your eyes, the only things that should exist for you are your breath, your heartbeat, processes in your body, and the workings of your prana. Only what is happening inside is life. What is happening on the outside is just imagery. Even when you look at other people, you are not seeing them out there but the way they are projected on your screen [in your brain]. Shoonya and other sadhana are towards that. How far you go is a different question, especially in today’s world. I am not against what is happening today in terms of life around. But unfortunately, to be flaky is fashionable – profound is out. With such an attitude, there is no way you can move your attention to how life works within you. This does not mean that it is not possible for every human being – it is. It all depends on what importance you ascribe to it. If you make it your number one priority, everything within you will organize itself accordingly. If your priorities are in different directions, you will go all over the place, not getting anywhere in terms of life on a fundamental level. On a social level, you may be getting somewhere. On a physical level, your body is going straight towards the grave – at the most, you can extend the route a little. As far as your mind is concerned, it is going round and round. Only if you focus on the fundamental nature of life will you really get somewhere. The life within you is the only real thing – the rest are just projections. But right now, most of the attention is on projections, not the real thing. With the Shakti Chalana Kriya, the transformation happens gradually. Taking charge of your prana and its different activities in your system is a fantastic process. The Shakti Chalana Kriya works on that level. If you practice it, you are strengthening the very foundations of your system. The Shambhavi Mahamudra has the potential to let you touch the dimension that is the basis of all that is. But you cannot actively make it happen. You can only set the ambience. We always refer to Shambhavi as “she.” There has to be devotion for Shambhavi to yield. You can only come in touch with the source of creation – there is nothing for you to do with it. Shambhavi also has an element of pranayam in it, which brings many benefits. The important thing about the Shambhavi kriya is that it is a tool to touch the source of creation, which is beyond prana. This could happen on the first day, or you could be doing it for six months and nothing happens. But if you keep it up, the day will come when you touch this dimension. If you touch it, suddenly everything is transformed. A version of this article was originally published in Isha Forest Flower - June 2017. 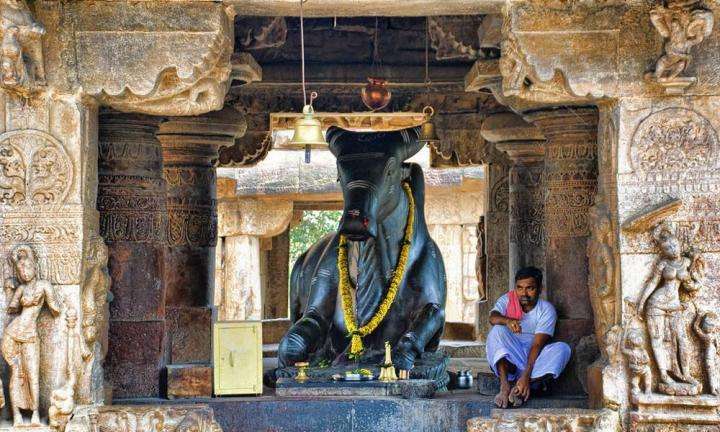 Sadhguru looks at how the idols of deities were never created for visual appeal, but rather to sync with the cosmic geometry. Consecration, A Possibility for Everyone? Can anyone learn to create consecrated spaces? 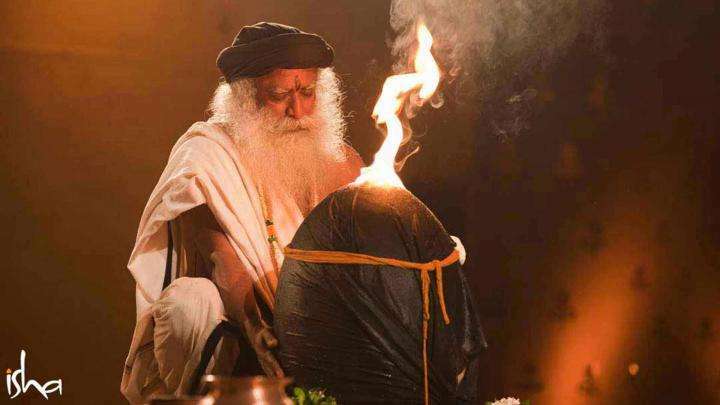 Sadhguru explains, you cannot consecrate anything without consecrating yourself first.